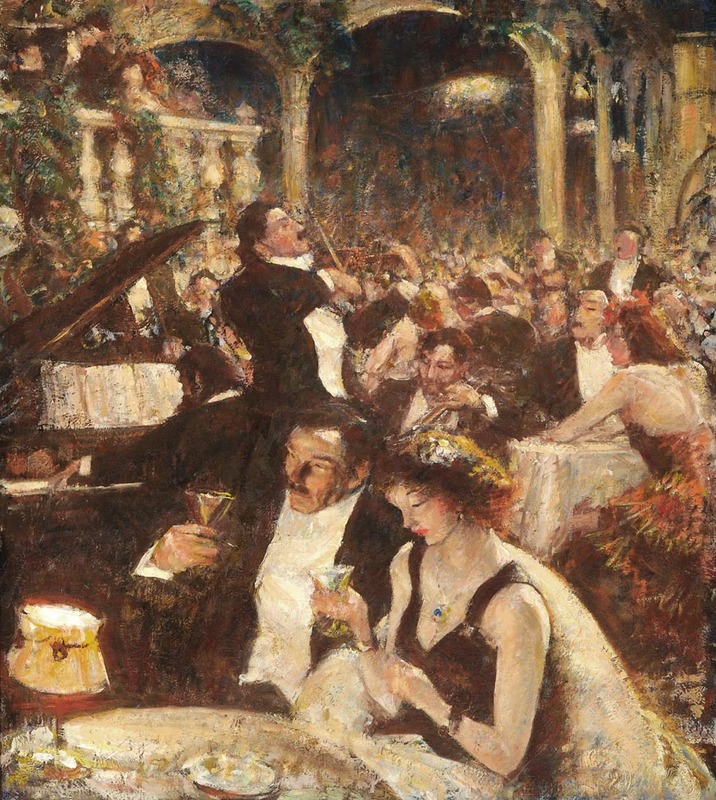 In 1906, Dunn obtained his first advertising commission from the Keuffel and Esser Company of New York, and throughout his prodigious career, he created painterly illustrations for the most prominent periodicals of his day, including Scribner’s, Harper’s, Collier’s Weekly, Century, Outing, and The Saturday Evening Post. 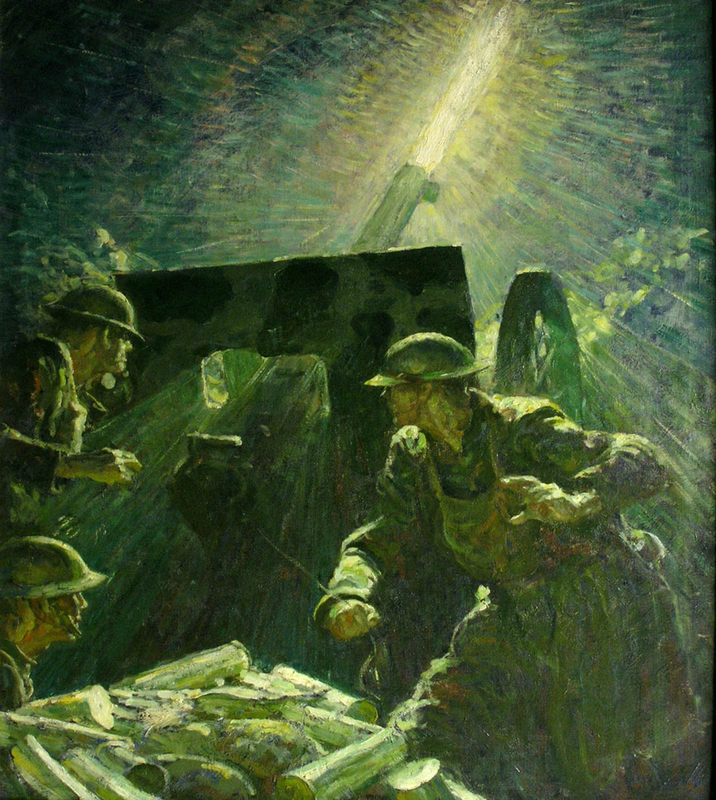 During World War I, Dunn was one of eight war artists assigned to the American Expeditionary Forces in France. He struggled emotionallyas a result of his wartime experiences, but found solace in painting visions of the prairie, inspired by his boyhood memories and his love of South Dakota’s landscape and history. 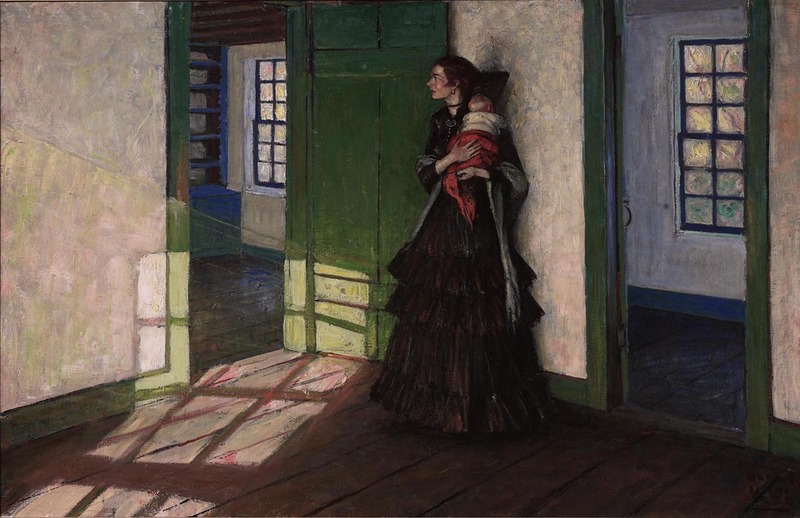 In 1914, following Howard Pyle’s death in 1911, Dunn moved from Wilmington to Leonia, New Jersey, which provided close access to his publishers in New York City. The following year, he founded the Leonia School of Illustration with artist Charles S. Chapman, explaining his unique mission, “Art schools teach complexities, while I teach simplicities. 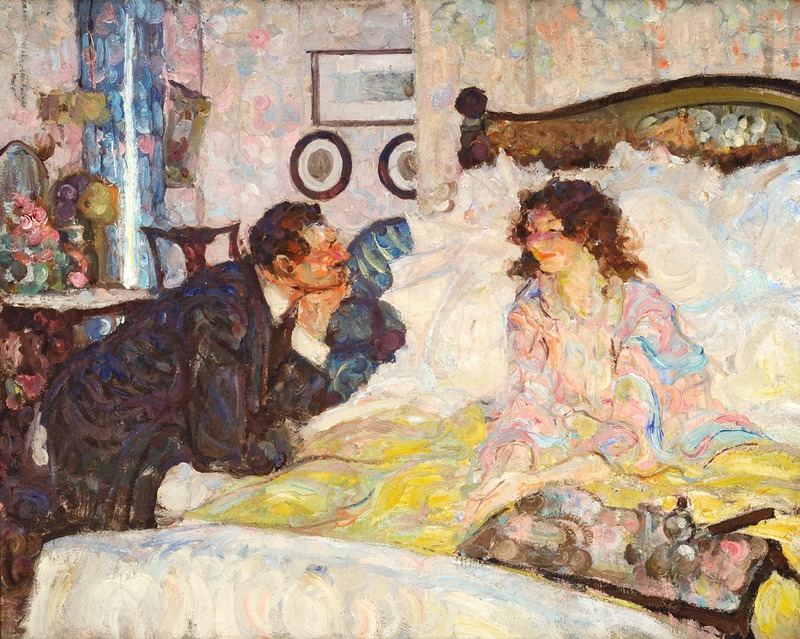 The only purpose in my being here is to get [students] to think pictorially.” Among his prodigious students there was artist Dean Cornwell, who acknowledged Dunn’s influence on his career. “I gratefully look back on the time when I was privileged to sit at Harvey Dunn’s feet,” Cornwell said. “[He] taught art and illustration as one. He taught it as a religion—or awfully close to such.” Though Dunn and Chapman ultimately parted ways and closed their Leonia school, Dunn’s desire to share his artistic knowledge with the next generation never waned. He went on to teach at the Grand Central School of Art, Pratt Institute, and the Art Students League, inspiring many of the 20th century’s most influential visual communicators. Some of Dunn’s other students include James A. Allen, Harry Beckhoff, John Clymer, Mac Conner, Dan Content, Mario Cooper, Wilmot Emerton Heitland, Walt S. Louderback, Henry C. Pitz, Arthur Sarnoff, Mead Schaeffer, Harold Von Schmidt, Frank Street, and Saul Tepper. Speaking to his students in clear and direct terms, as Dunn was known to do, he urged them to maintain the passion that first led them to pursue a life in art. “Merely knowing your craft will never be enough to make a picture,” he said. “If you ever amount to anything at all, it will be because you were true to that deep desire or ideal which made you seek artistic expression in pictures.” In 1952, when Dunn died, his New York Times obituary announced his passing with the headline: Harvey Dunn, 68, Artist, Teacher, reflecting upon his ongoing dedication to his art and his strong belief in the value of sharing one’s knowledge for the benefit of others. 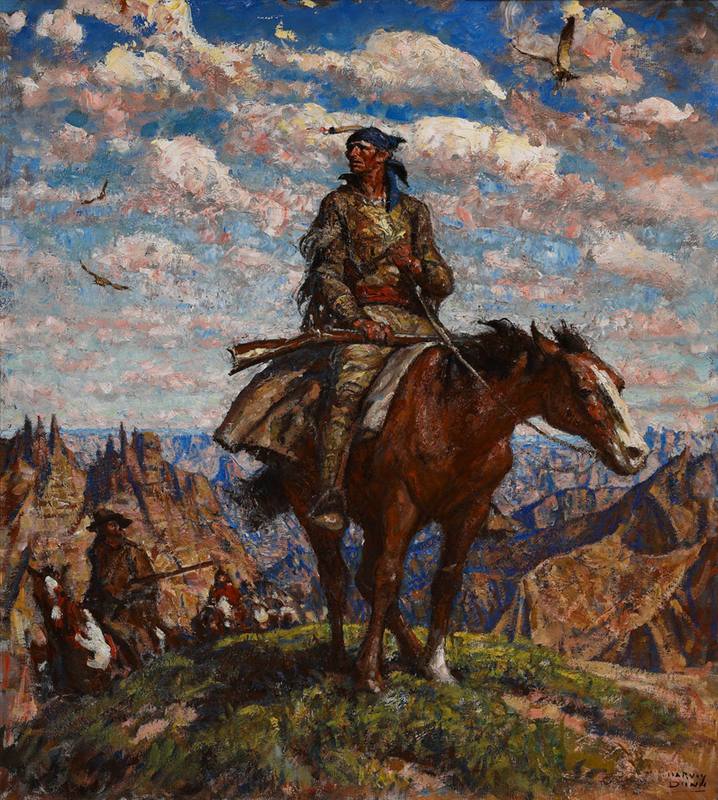 Howell, Edgar M. Harvey Dunn: Painter of Pioneers. Helena, MT: Montana Historical Society, 1968. 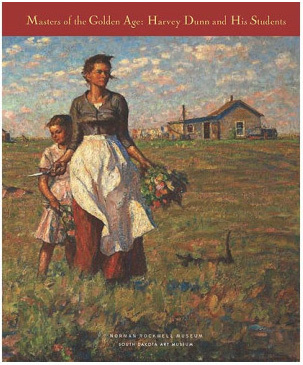 Karolevitz, Robert F. Where Your Heart Is: The Story of Harvey Dunn, Artist. Aberdeen, SD, North Plains Press, 1970. Luedemann, Judith Miner Hine. The Ancestry of Harvey Dunn. Chester, CT, Pequot Press, 1972. Reed, Walt. 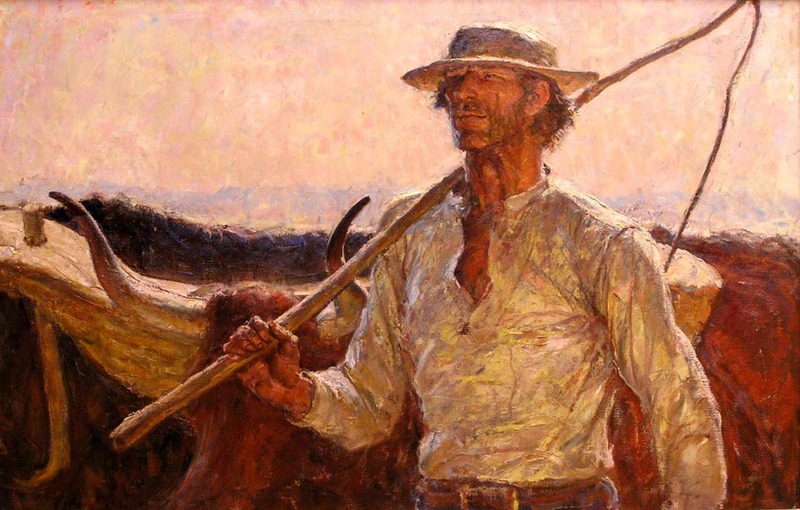 Harvey Dunn: Illustrator and Painter of the Pioneer West. Santa Cruz, CA: Flesk Publications, 2010. Sherwood, Aubrey. Harvey Dunn. Pierre, SD, South Dakota Dept. of Game Fish and Parks, 1968.